Aristocrat’s employees are the heart of our business and the talent behind our success. That’s why we strive to maintain a strong culture underpinned by our values and behaviours, attracting the best people and building a high-performance workforce. We know that having a strong organisational culture helps to inspire and motivate our people as well as attracting, recruiting and retaining the highest level of talent to our business. This is why we invest strongly in culture-building across our business. In November 2017, we commenced a global culture assessment to evaluate our existing culture and to compare that against our target culture; assessing the gap and establishing a plan to close it. This year, we formed a Culture Planning Team comprising 11 senior leaders from our global business and tasked them to develop an action plan for this purpose. 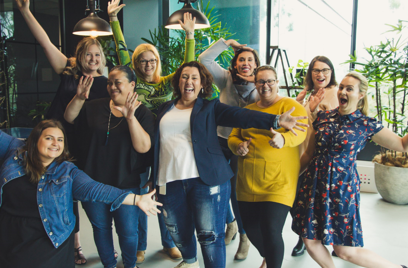 Our culture assessment involved conducting a global employee engagement survey which targeted 3501 employees as well as running focus groups across our Australian, US, UK and Indian businesses. The results from the survey and focus groups showed that Aristocrat has a fun and friendly working environment and that employees are proud of working for Aristocrat and are prepared to go the extra mile in performing their roles. Opportunities to improve were also identified which we embrace as an organisation that is continually challenging itself and our people to be better. Aristocrat will take action to address the gaps identified through the culture assessment, enabling us to achieve the culture we have chosen to support our strategy and vision for the future. Our priority is to build our reputation as an employer of choice, successfully competing for and retaining our talent across Aristocrat’s global business. Since 2015, Aristocrat has been recognised as one of the Top 50 Great Place to Work® in India, out of more than 550 organizations which apply for this certification. In 2018, Aristocrat was again recognised with this award, and cited for our commitment to supporting our people at every stage in their career. We are proud of the business we have built in India, and the people who lead and work within it. Our aspiration is to achieve analogous recognition across the other key regions where Aristocrat operates. We are extending and strengthening educational partnerships across major global markets to attract graduates. 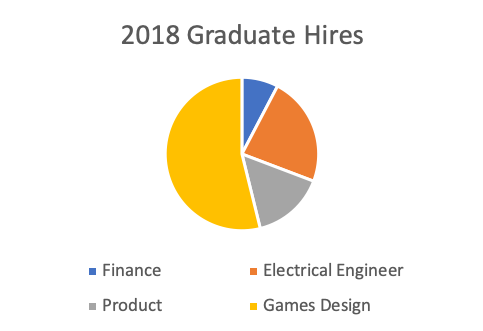 In 2018, Aristocrat doubled its graduate intake. Over the same period, we increased the number of internships available throughout the business. 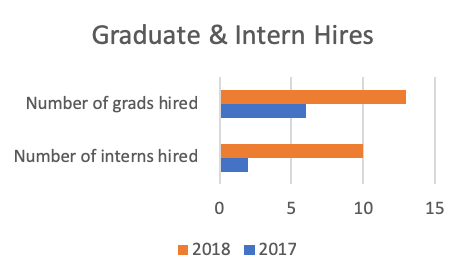 In 2019, we will continue to focus on increasing our intake of female graduates and interns. 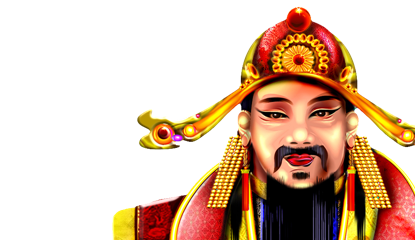 In the United States, we operate in the tribal gaming market through our VGT and Aristocratbusinesses. In 2018, VGT committed to launch a tribal scholarship and internship program. The tribal internship program was launched in late 2018 and promoted through the American Indian Science and Engineering Society (AISES), with the first interns scheduled to commence at VGT in the summer of 2019. The tribal scholarship program will be launched in 2019 with further funding for 2020 already committed. Aristocrat has also commenced development of a company-wide tribal education initiative to educate our employees about the tribal nations and the role that gaming plays within these communities. Learning, development and growth of our people is important, and we encourage employees to have an Individual Development Plan that forms part of their formal performance process and is subject to periodic review. This year, we have continued to invest in programs to support leadership development. Our focus lies on targeting core leadership skills, team effectiveness and general employee development. Since April 2018, the “LeadIn” training program has launched globally providing 620 leaders with core development of their leadership skills. Fifty percent of leaders have completed the program since launch (with 93% participation) and the program has received an average leader satisfaction score of 8.3 (out of 10). In 2018, we also launched Leadership Circles – an employee-led initiative that provides development opportunities for employees from various teams to set a topic of discussion and build skills and knowledge in that area. In addition, ‘LearnIt’, an on-demand team effectiveness program, was launched in 2018. The purpose of this program is to build team cohesion through a calendar of monthly learning opportunities. We consider mentoring and coaching to be another important aspect of professional development and aim to provide our employees with the ability to connect with mentors and coaches across the global business in a way that works for them. Aristocrat has invested in an online mentoring and coaching platform to enable employees to search for and select mentors that meet their needs and address their specific learning outcomes. This mentoring platform is currently in pilot phase with 148 employees from across our global business signed up to participate. We aim to have the platform launched globally across Aristocrat’s businesses in early 2019. Aristocrat strives to foster innovation and an innovation culture across all levels of our business. In 2016, we launched thinkBIGGER, a program designed to cultivate and develop employees’ ideas, in turn leveraging Aristocrat’s objectives and our competitive advantage. thinkBIGGER is modelled on the best practices of technology start-up incubators and all employees are eligible to participate in the program. 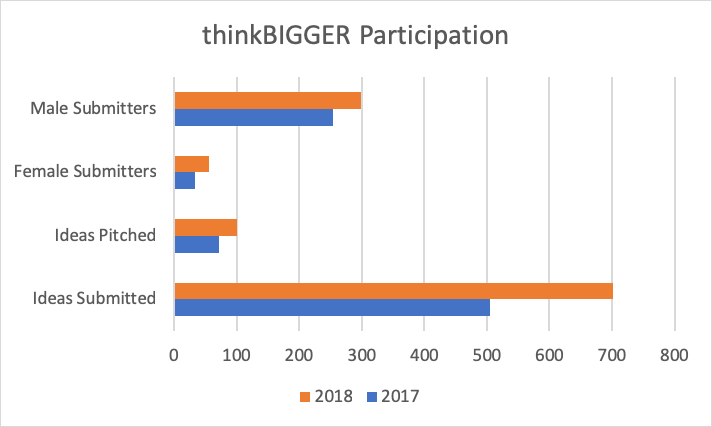 Since its inception, thinkBIGGER has generated over 1,200 submissions from employees. In 2017, of 500 ideas pitched, 15 were selected for rapid-prototyping and developed into demonstrable concepts. Three of these concepts have been showcased at industry tradeshows and more than half of the concepts submitted have been adopted by other parts of the business for continued development and investment consideration. In 2018, over 700 ideas were pitched and these are currently going through the selection process. We’re proud of the fact that this program continues to grow year on year, showcasing and supporting our commitment to People First and Innovation. We are proud that 18% of our total employees were involved in submissions for thinkBIGGER. As part of our commitment to empowering employees and strengthening engagement, Aristocrat has developed guidelines and a toolkit to support employees seeking greater flexibility in the workplace. The toolkit includes modules which provide guidance and direction on effective flexible working practices and the importance of positive and supportive team culture, communication, resource planning, stakeholder management, and work health and safety considerations.